Hunt in total comfort with this feature-filled ladder stand. 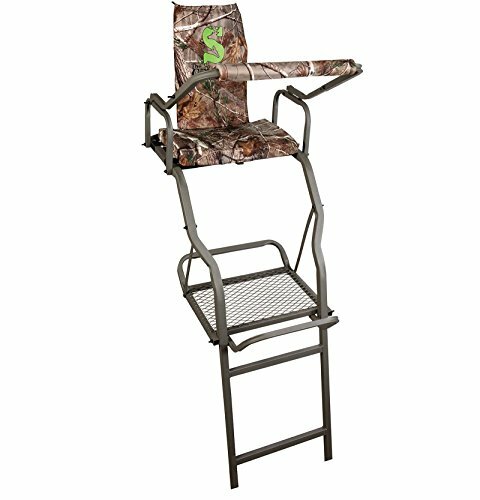 A padded sling-style seat with a backrest and a folding footrest provide all the support you need for long, leisurely hunting days. A removable padded gun rest adds even more bang to this well-thought-out design.